A Clean, Well-Cared For City. 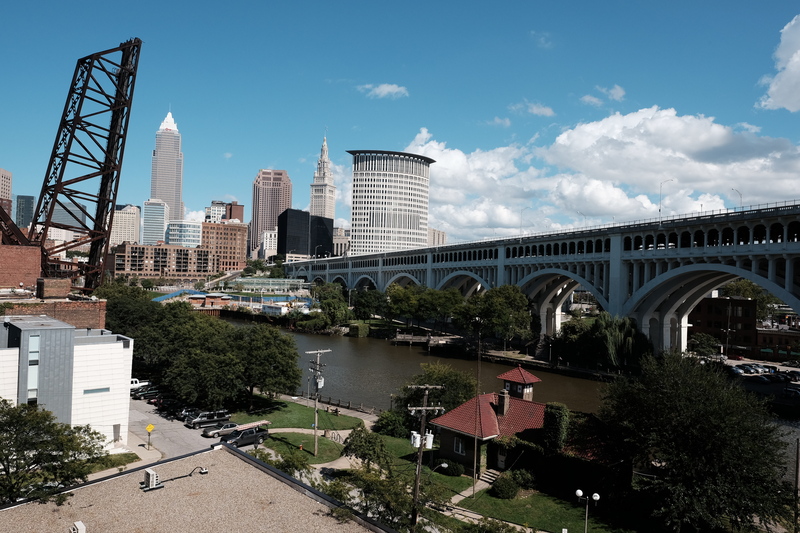 Bridges and Parks and Skyline: Cleveland, OH. I recently spent a few days in Cleveland, OH on an exploratory trip, visiting a city I’ve never been to before to see how I liked it. Cleveland has had a long, slow, drain of population, and it is now about 270,000. Less than the size of Glendale (200,000) and Pasadena (142,000) put together. 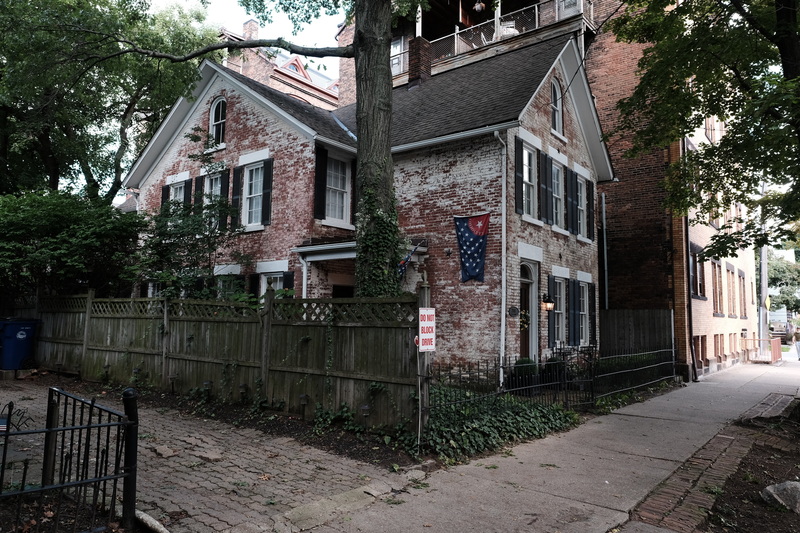 I stayed in Cleveland Heights, outside of the city, in an AIRBNB run by two guys who bought a half acre estate for $146,000 four years ago, and make some extra income hospitably renting out rooms in their home. For me, I relished the time away from Los Angeles in an environment of lush greenery, green lawns, deer, and clean streets. Overlook Rd. 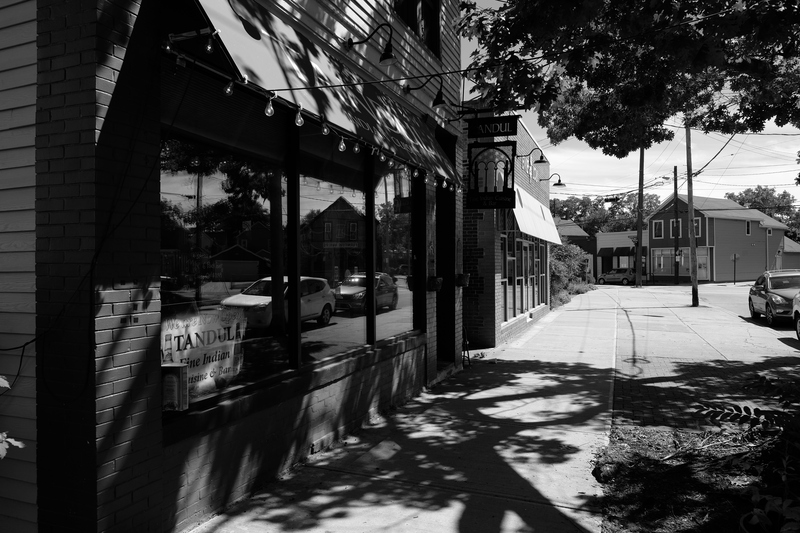 Cleveland Heights, OH. $599,000 asking price for home in Cleveland Heights, OH. Lee Rd. Cleveland Heights, OH. Sign in window on Lee Rd. Cleveland Heights, OH. 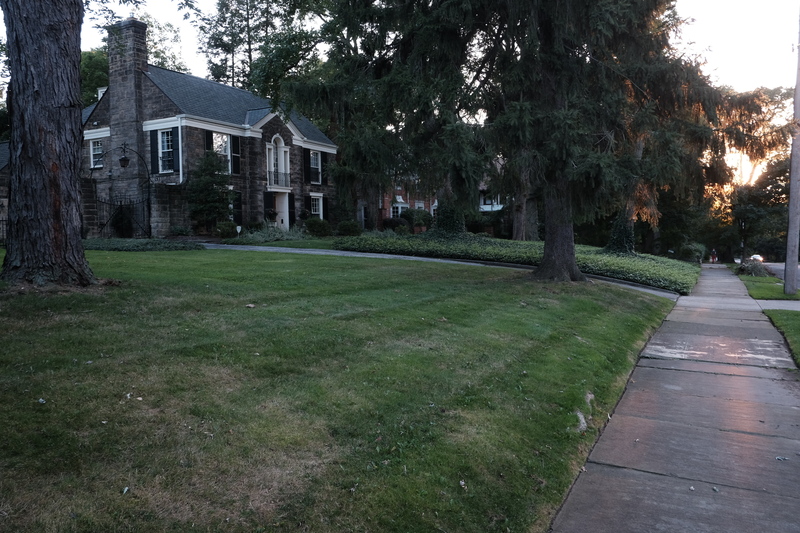 Homes in the Mayfield Heights section of Cleveland Heights. Mayfield Heights section of Cleveland Heights. 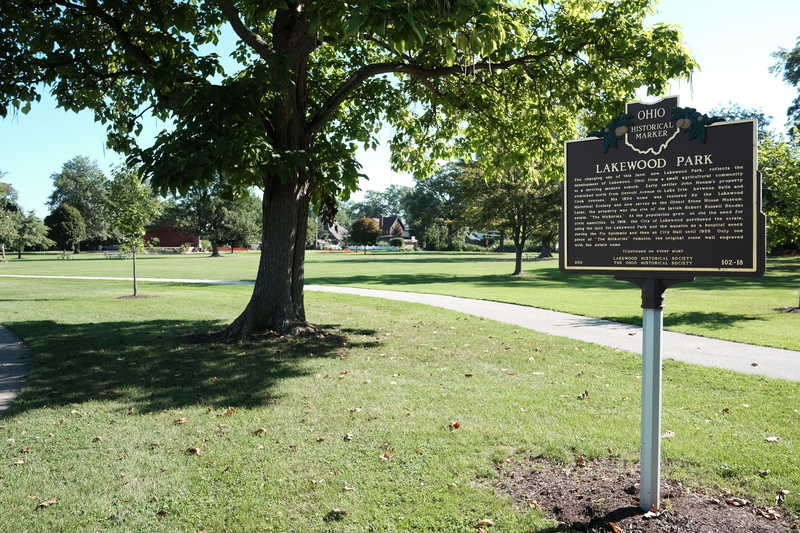 Cleveland Heights is also a historic city, full of blocks of homes from the 1880s to the 1940s, a rich, well-maintained, lovingly cared for collection of architecture, punctuated by churches, parkways, and museums. 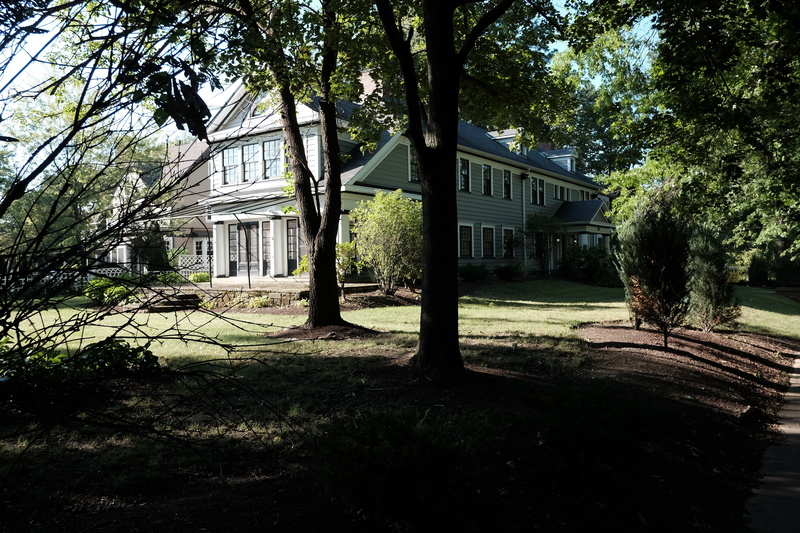 Case Western University and Cleveland Clinic are just outside its borders, to the south is Shaker Heights, an elegant town developed in the 1920s, laid out with nature preserves, winding streets, gracious mansions and a languid Midwestern grace. 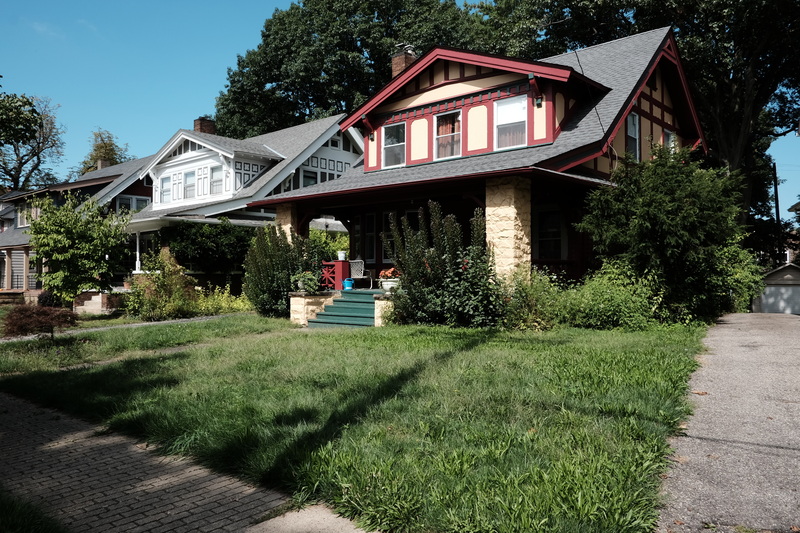 There are many homes for sale in Cleveland Heights and you can buy one for as little as $79,000 with most in the $140,000-$250,000 range. If you are starved for a Hancock Park type mansion there is one I liked for $599,000. Many miles of interior Cleveland are empty. They were abandoned, bulldozed and cleared away. And what’s left are vast green spaces where the grasses and woods are reclaiming the land. Even in the poorest neighborhoods, I did not see garbage dumps, shopping carts full of trash, littered streets, graffiti, or dumped furniture. 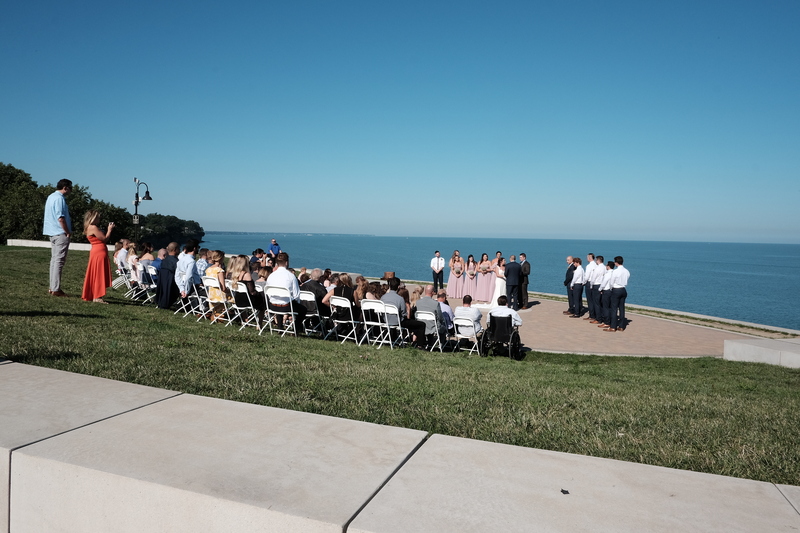 In Lakewood, OH, just west of Cleveland, a little town on Lake Erie has rows of neat bungalows, leading up to a gorgeous park on the lake where a wedding (between a man and a woman) was taking place in the sunshine overlooking a bluff. I walked around the park, full of bicyclists, walkers, joggers, tennis players and people sitting on benches socializing. Nobody was intoxicated, high, homeless, destructive, or neglectful. And if someone were, I have no doubt they would be arrested. 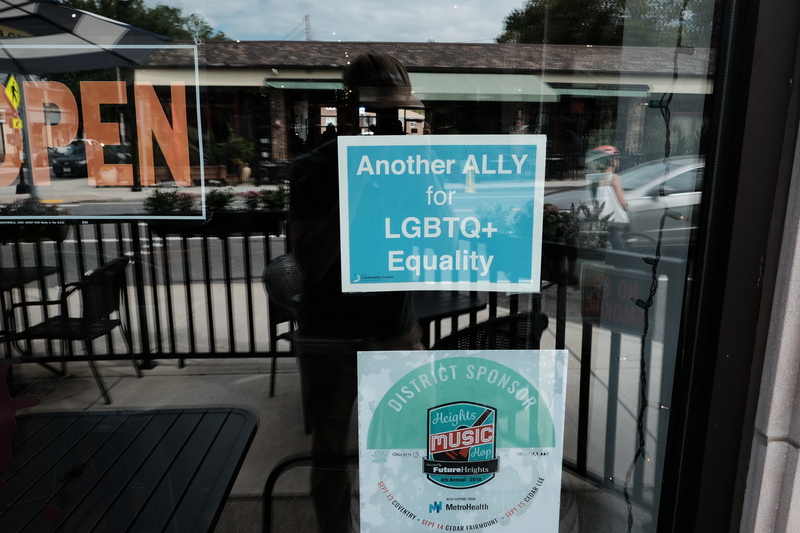 Lakewood is also “gay friendly” with rainbow flags, anti-Trump posters, tolerance banners, welcoming immigrant signs. I saw liberalism all over Cleveland, but it did not need to co-exist with uncared for mentally ill camping out on bus benches, mountains of debris, urinating and defecating and injecting. You can hate Trump and still have a clean park system. 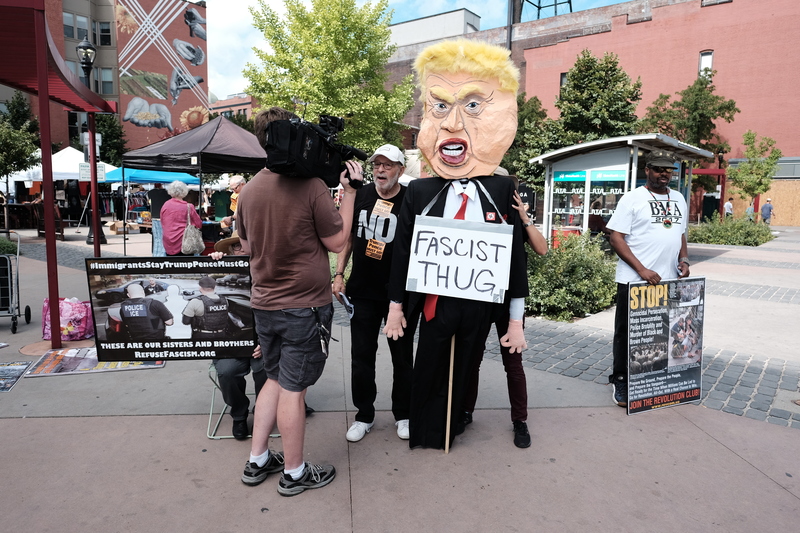 Anti-Trump demonstration in Market Square, Cleveland, OH. You can champion diversity and still enjoy people who say hello to you on the street and sweep their sidewalks every single morning. In Cleveland, they still prohibit using the sidewalks and parks to sell old underwear and moldy shoes and sweat stained t-shirts and rancid socks on blankets. Nobody calls it discrimination to adhere to a standard of sanitation and order completely absent in cities such as Calcutta and the MacArthur Park district of Los Angeles. I went to the Rock and Roll Hall of Fame. I ate cannoli in Little Italy. 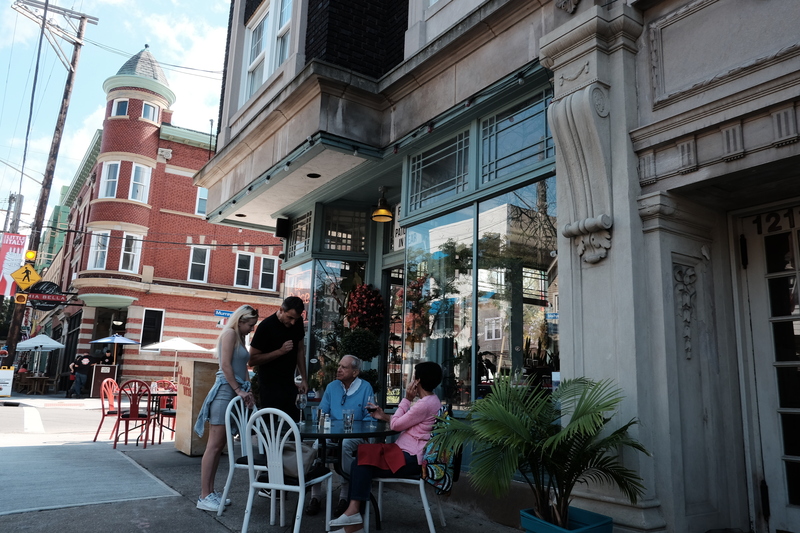 I visited the historic West Side Market with its food sellers and ethnic hawker stands. 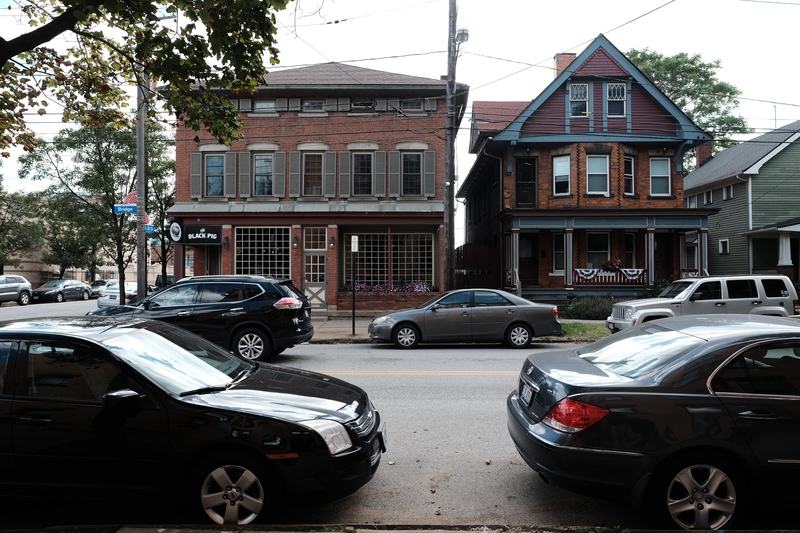 I went to Ohio City, a restored section of Cleveland with brick houses, and Victorian mansions, loft buildings and yoga studios. 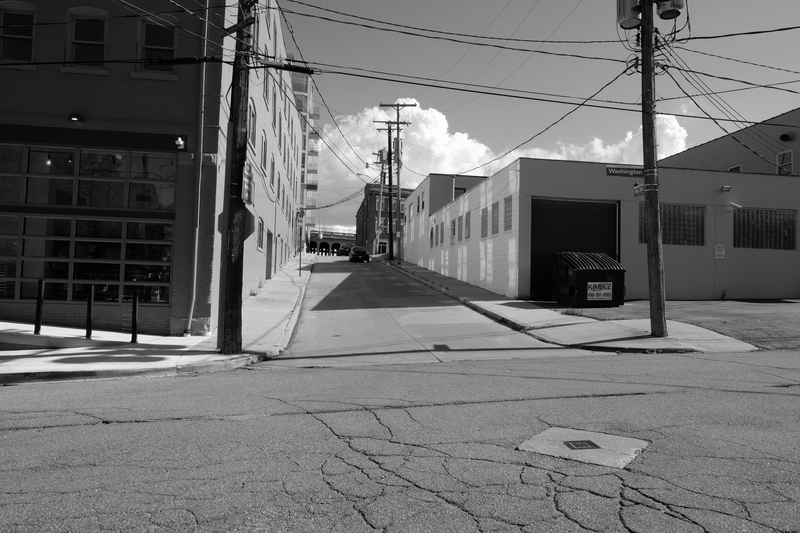 I didn’t step over feces, walk down alleys that smelled like toilets, stare at intoxicated men on the ground. And nobody asked me for money. How cruel to enjoy such freedoms away from the rot of Mayor Garbageciti’s Los Angeles. 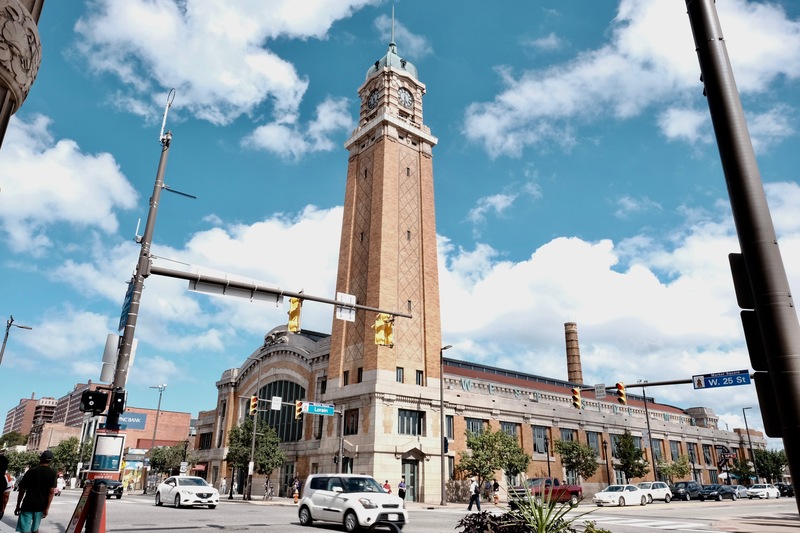 West Side Market, Cleveland, OH. 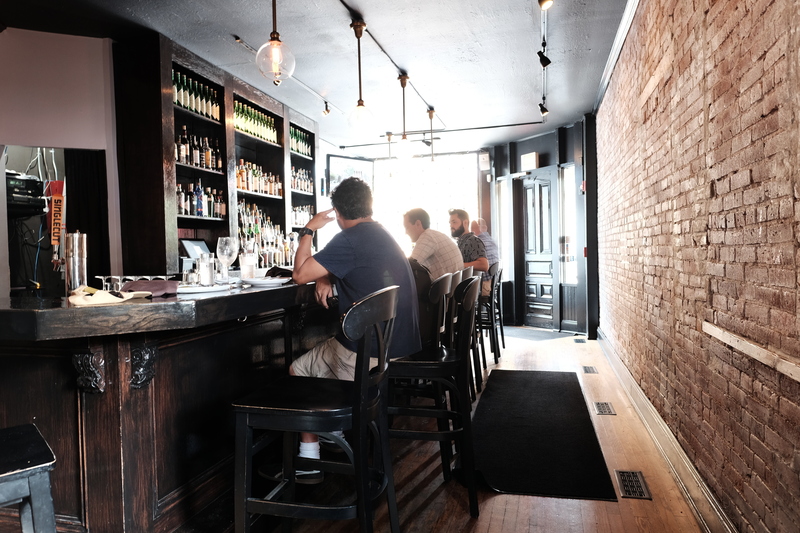 “The Black Pig” pub and restaurant in Ohio City. 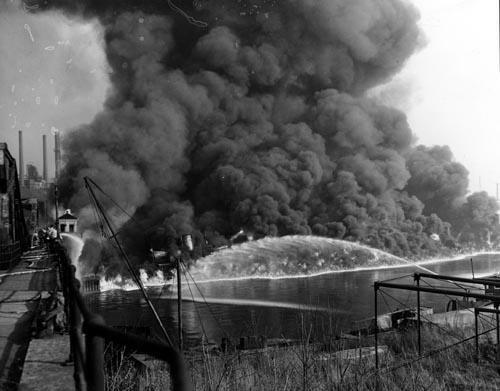 6/22/69- Fire on the Cuyahoga River. 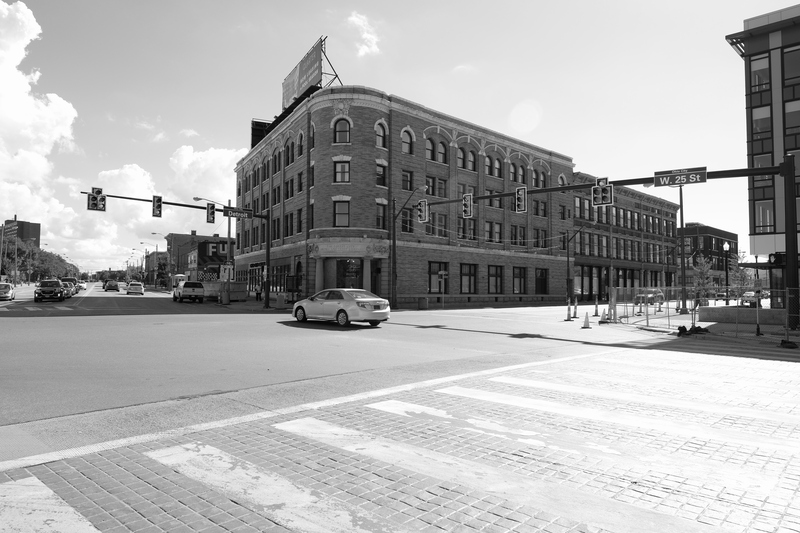 Spotless streets in Ohio City, Cleveland, OH. I walked down to the Cuyahoga River, a body of water that infamously caught fire on June 22, 1969, spurring a cleanup. In September 2018, I watched a race of college rowers in the now sparkling waters. 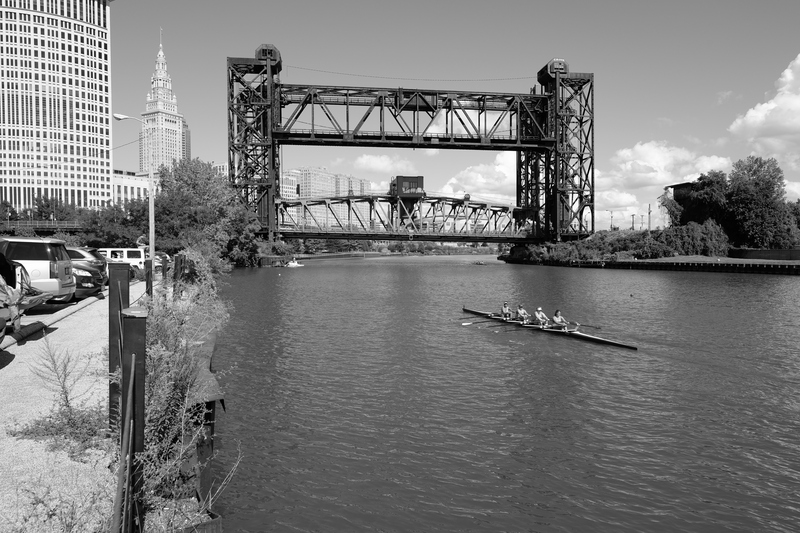 Crossing the river are many bridges, a spectacular symphony of rail and road, steel and concrete, which once provided Cleveland with efficient delivery systems of raw materials and finished goods. Today the industries are gone. One might expect decay, litter, neglect, and illegal dumping to move in. Yet the parks were pristine. They were clean. There were no visible homeless. There were no mattresses, sofas, or piles of garbage as one sees in every single neighborhood of Los Angeles. I did not see tent cities of despondency in Cleveland. I was impressed with the civic pride of the city. 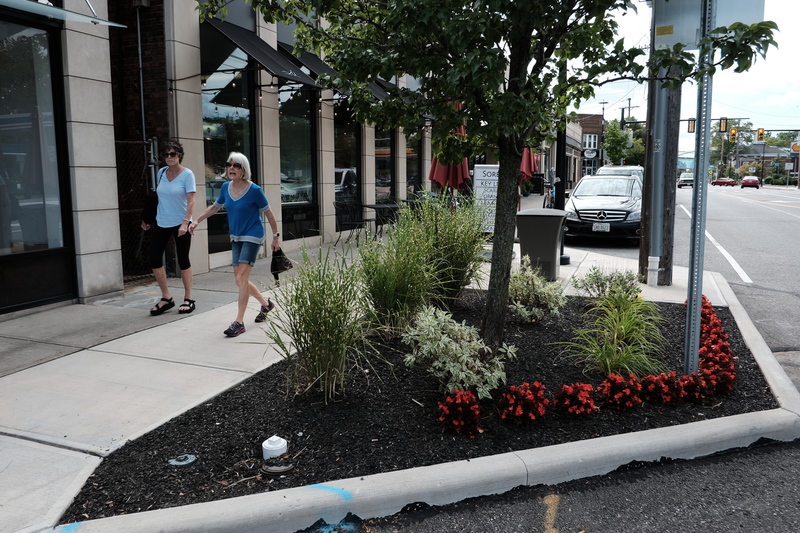 I was taken with the normalcy of expecting that parks, streets and neighborhoods would be well kept and looked after. Could I live happily in Cleveland? Cautiously, advisedly, I think so. Ohio City, OH. Yard sale. Andy, I too travel the country in search of that elusive “better place.” In truth, it does exist. For a price. Oh the natural beauty and charming well tended cottages of Carmel-by-the-Sea. But a modest bungalow within the scent of salt air will set you back as much as a space shuttle. When money is, in fact, an object we mere mortals make trade offs. Re: Daodow – Santa Clarita may not have homeless camps under every bridge. But then you’d have to live in Santa Clarita… I’d rather shave my head with a cheese grater than hunker down in a beige gated community with a view of a desert canyon and a freeway off ramp. But to each his own. 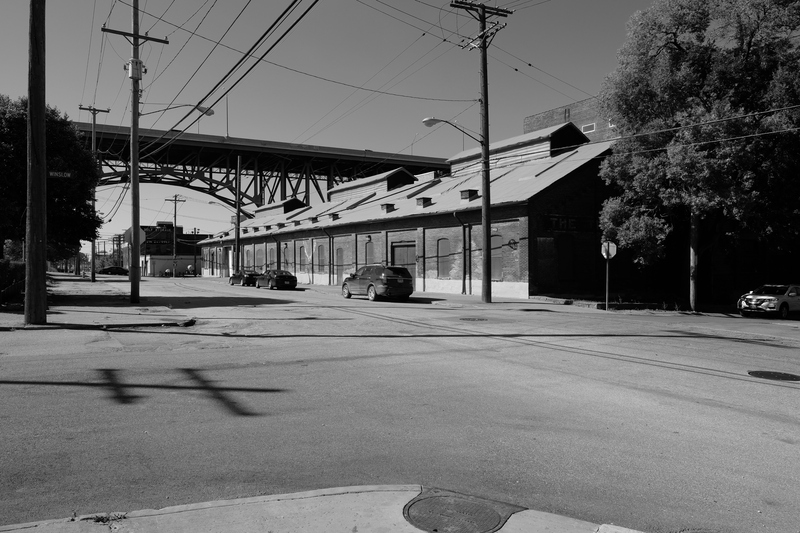 The reason there are radically fewer homeless people in Cleveland is that homes are abundant and dirt cheap, especially in the less desireable neighborhoods. And people sleeping rough outdoors don’t make it through very many frigid winters. The problem of weather in Cleveland is solved by having a winter home elsewhere for a portion of the year. If you were to cash out of your lovely Van Nuys abode you could easily afford four homes in various parts of Flyover Country – one for each season. There’s no end to the high quality low cost places around North America if you have cash on hand. You’ve been stewing over this “I hate LA” thing for a very long time. I’m curious to see if you mean it enough to actually move. I’ll come visit you. I promise. And if you find a genuinely good spot I might buy the place next door. Well Andy, as always, your youth serves you well. Now…that picture of “fire on the Cuyahoga” I think you weren’t alive when the Cuyahoga River was actually burning. And thanks to that carrot headed jerk-off who is now our president, those fires may soon return. But the populace won’t. Know where they all went? Yup, that’s right, California. So you took your trip around the nicest part of the year. If you were even remotely considering a move back there, you go in mid-Winter, to get a full appreciation of why people choose to leave. I assure you visiting the Rock and Roll Hall of Fame will only fill out so many days before you are counting hours/minutes/seconds of being couped up in your warm little room. Oh, ya, so those vacant lots are now growing trees, a nice touch, but then again, 270,000 residents-instead of nearly 3 million. That means the job market is about 12% of whatever we’ve got out here-for better or worse. And as much as the Santa Ana winds can really get on one’s nerves-esp. those of us who get massive headaches when our noses dry up along with our throats and skin-I’m trying to recall those wondrous “breezes” that come in off the Lakes (and ooooh, those wonderfully frigid winds that arrive as blizzards forcing you into the hands of the local gas company as you huddle close to that heater/radiator to keep from freezing to death. Alas, would I be pushing it to use the cliche “the grass is greener”…esp. when my new neighbors-mostly middle eastern, Latino and folks from back east, but all of whom couldn’t care less about water shortages, all forcing their lawns to go green/greener/greenest in an endless competition that apparently has the most psychotic among them putting in AstroTurf rather than have a blade of brown be seen by others! 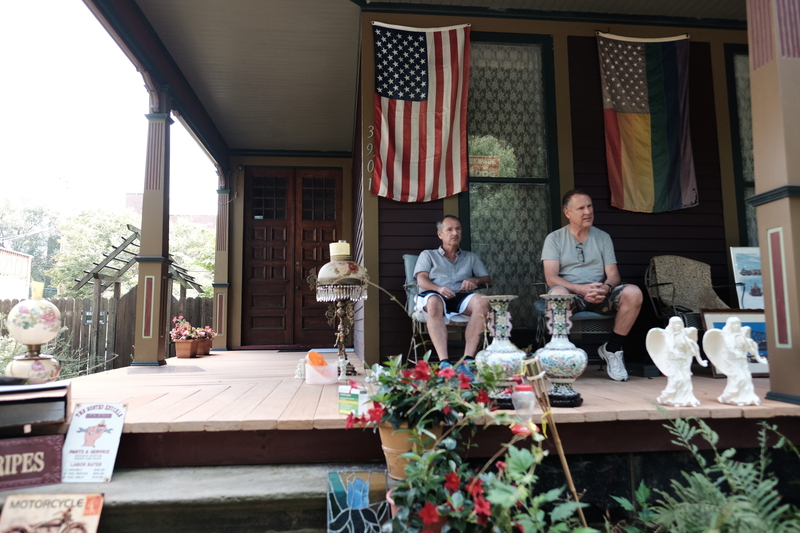 For people who are lucky to have some equity in their homes, they might take some of it out, say $50,000 and put down a 30% payment on a $150,000 home in Cleveland Heights. The worse that could happen is that the house in Ohio does not double or triple in value, but remains about or slightly higher in the coming years than its purchase price. While Cleveland might have cold winds coming off the lake, Los Angeles has fire smoke inundating the city at any time, year round, along with our usual air pollution, and traffic, homelessness, garbage, deficient police protection, and the ever present sirens and overhead helicopters. 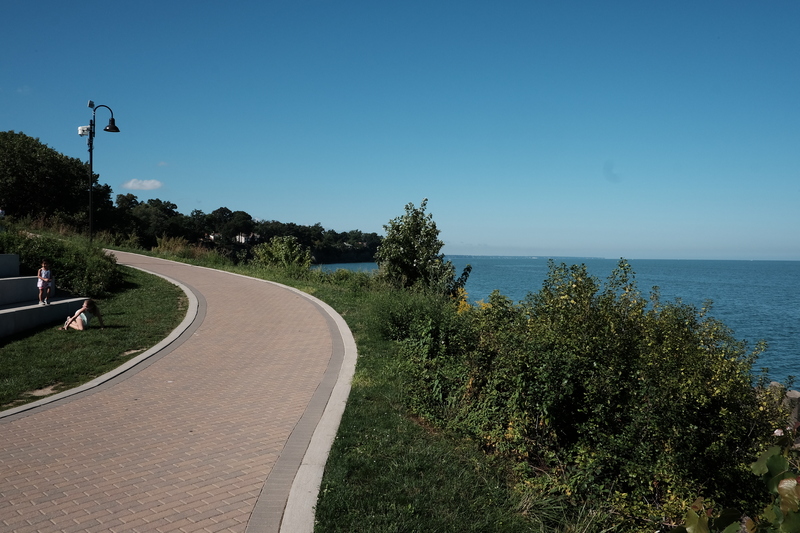 Except for the sunshine, the general ugliness of this city, with its billboards, crappy mini-malls, grotesque new mansions built on lawns of concrete behind gates of steel, and ramshackle apartments renting for a minimum of $2000 a month, life here is nothing to write home about. 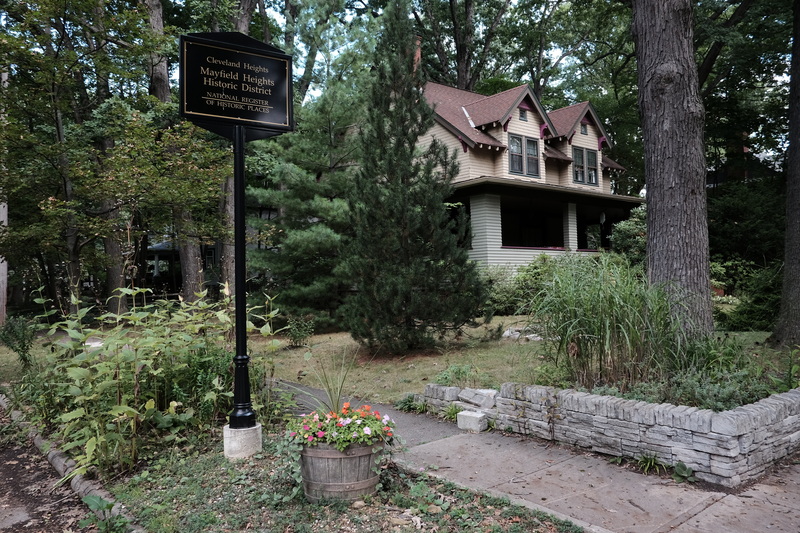 We have some rare islands of civility, such as Hancock Park or Montana Blvd. but much of this city looks like Sherman Way, Vanowen, Reseda Blvd., Pico, Sepulveda and Saticoy, an undending parade of unwalkable streets, eight lanes wide, with speeding cars, trucks and angry drivers. The overwhelming emotions of life in this city are anger, rage, disappointment, resentment, violence, and regret. It infuses everything, from young to old, from the aspiring nobody to the drugged out somebody in her Bel Air mansion. After a while, one is either killed by this city, or smart enough to remove oneself from its toxins. Exactly. The wagon train moves to the water post.